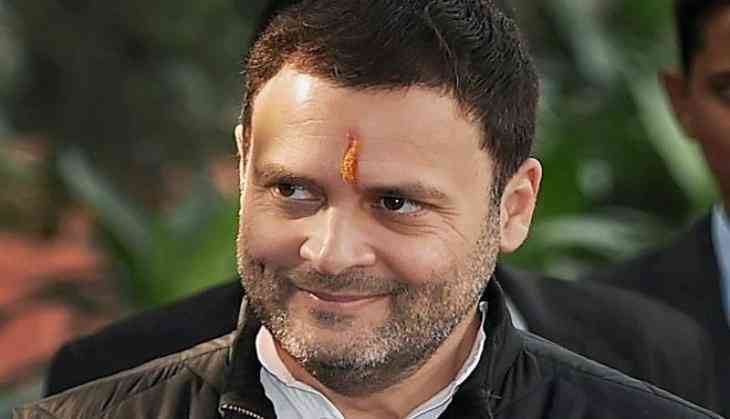 Posing a challenge to "haters" of Rahul Gandhi, the Congress Friday asked whether they can "keep up" with its president saying he has clocked over 46,000 steps while travelling more than 34 kms during his Kailash Mansarovar Yatra. The party also posted a picture of a smiling Gandhi posing in front of the Mount Kailash, considered the abode of Lord Shiva, on Twitter along with details of his trekking details compiled by popular fitness mobile app 'fitbit'. The fitbit data showed Gandhi having travelled 46,433 steps, 203 floors, 34.31 kms over 463 minutes, while burning 4,466 calories. "Leaving all the haters behind, Congress President Rahul Gandhi sets the pace during his Kailash Yatra. Can you keep up?," the Congress said on its official Twitter handle. Gandhi is expected to be back from his Kailash Mansarovar Yatra by end of this week. The Congress chief also tweeted a video of the hills on his official Twitter handle and said, "Shiva is the Universe". On Thursday as well, Gandhi had posted a picture of Mount Kailash, saying, "It is so humbling to be walking in the shadow of this giant." He had earlier put out pictures of the "tranquil and calm" waters of the lake and said there "is no hatred here". "The waters of lake Mansarovar are so gentle, tranquil and calm. They give everything and lose nothing. Anyone can drink from them. There is no hatred here. This is why we worship these waters in India," he had said on Twitter. Gandhi left the national capital on August 31 for the Yatra. What does John Legend think of Aishwarya Rai Bachchan?